Hot air balloons over the Las Vegas valley are not an unusual sight. 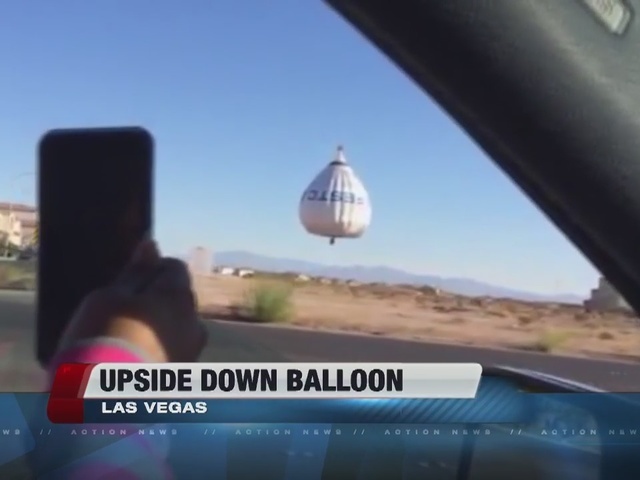 But, quite a few people were surprised when they saw a balloon early Friday morning that appeared to be flying upside down. The upside-down balloon and its companions took flight around 7:30 a.m. Many people began posting photos of the unusual balloon on social media. Some even called 911 because they were worried. For a while, no one seemed to know where the unusual balloon came from. 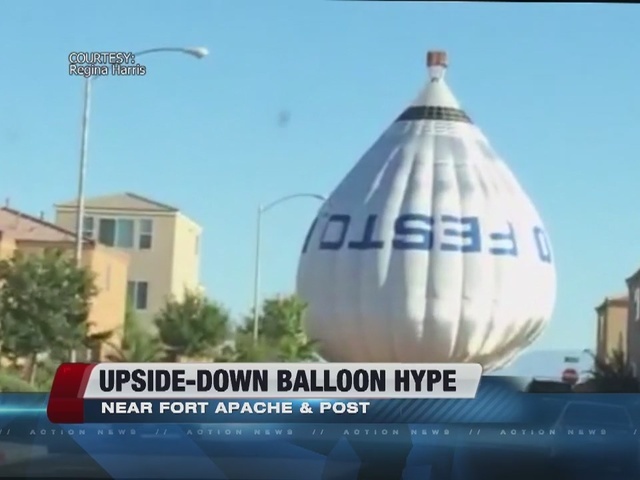 It turns out that the balloon belongs to the German-based Festo Corp ., who is in town for the PACK Expo. The upside-down balloon is actually one half of a pair of balloons. The other balloon is a traditional hot air balloon.